The town of Bigfork is located in northwest Montana at the northern end of Flathead Lake in the tourism mecca of the Flathead Valley. 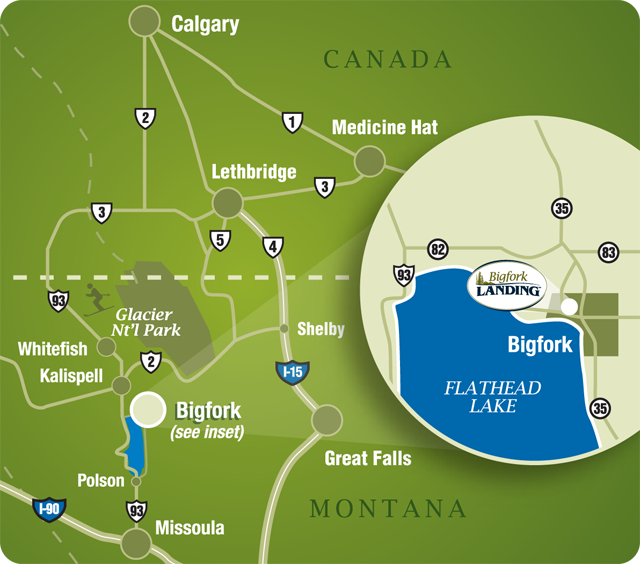 The exciting new residential community of Bigfork Landing is located in Bigfork along the north side of Holt Drive at Chapman Hill Road (just past the post office!). We are minutes from Flathead Lake and the village of Bigfork and the only community offering direct exclusive access to Eagle Bend Golf Course. Come visit us today. Contact us to arrange a tour.